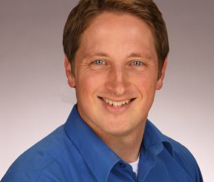 Jonathan Decker is a licensed family therapist and clinical director of Your Family Expert. His wife Alicia is the CEO. He offers online relationship courses for couples and families worldwide, along with in-person and online counseling for persons in the state of Utah. He is also a husband, father, author, actor, television personality, and motivational speaker. For daily guidance from Jonathan, join his Facebook group Marriage and Family Tips that Work.